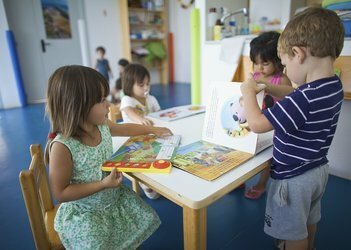 The Formentera Council's education department wishes to announce the start of enrolment at the island's two nurseries, or escoletes. Parents of children born between 2017 and 2019 can register their young ones at Escoleta Sa Miranda, while enrolment at Escoleta Camí Vell is open to children born in 2017 or 2018. The registration period comes to a close on Wednesday April 17, 2019. Application forms can be picked up from and returned to the Citizen Information Office, or OAC, at carrer Ramon Llull, number 6 (operating hours are 9.00am to 2.00pm Monday through Friday and Thursday afternoons, 4.00pm to 6.00pm). Enrolment can also be handled online on the Council's virtual platform, the OVAC, at https://ovac.conselldeformentera.cat/. More information is available by contacting the escoletes directly. Sa Miranda is open to the public Mondays, Tuesdays and Fridays from 1.30pm to 2.30pm. Camí Vell staff are on hand to receive visits at the same time on Wednesdays. School for parents and teachers: The collective art of raising a child. 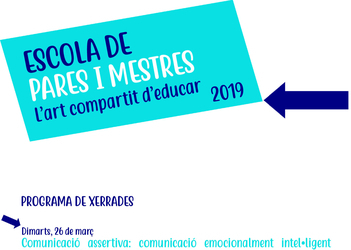 The Formentera Council's education department unveiled today the 2019 programme of “School for parents and teachers: The collective art of raising a child”. The programme covers three informational talks for parents and teachers that will take place between next Tuesday March 6 and Thursday May 2. The initiative is about creating places of learning and exchange between families and educators. The idea, says education and culture councillor Susana Labrador, “is to come up with common learning space where everyone has a voice—that's where the organising efforts of the CiF education office, the Federation of Formentera Parents Associations (FAPA) and the CEP teacher training centre come in”. The three conferences will start at 6.00pm in the Sala d'Actes, next to the Sant Francesc library. -Tuesday March 26: Manel Güell Barceló. Communicating assertively: emotionally intelligent communication. -Monday April 15: Betlem Gomila Serra. The other side of sport: transmitting values. -Thursday May 2: Pepa Horno Goicoechea. Learn to love. Learn to trust. The Formentera Council's “Language Advisory Service” (Servei d'Assessorament Lingüístic, SAL) reports that tomorrow March 6 enrolment begins for the second round of adult education Catalan language courses. Registration, which continues through March 15, is free and can be handled in person at the OAC or online via the OVAC website. Organised by the SAL, the course offering includes two groups at a range of levels: A2 (morning and evening), B1 (morning and evening), B2 (morning and evening) and C1/C2 (morning and afternoon). The instruction is aimed at preparing students for the official exams that are being organised by the Govern balear's directorate general of language policies for this May. Classes start March 18 and 19. The morning groups will meet at the adult learning centre, or Escola d'Adults, and the afternoon groups at IES Marc Ferrer. 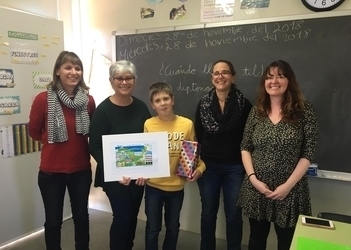 The environment and education offices of the Formentera Council announce that Munay Guzmán Westcott, a pupil of CEIP Mestre Lluís Andreu, Stefan Cionabu Alexandru, who attends CEIP Sant Ferran de ses Roques, have been selected by Aquàlia in the water work's Digital Kids' Contest (Concurs Digital Infantil) as part of World Water Day. CiF secretaries of environment and education Daisee Aguilera and Susana Labrador were joined by Maria del Mar Yern, the head of Aqualia’s municipal water service, in giving the children their prizes. The young students' contributions were picked from more than eight thousand across Spain and Portugal. This year's subtitle—“the stirring journey of water”—serves to remind youngsters of the hard work home water service requires. Pupils visited www.aiguaperagrifus.cat for videos, comics, activities and other educational material for the project, which was open to year three and four primary school students in areas Aquàlia operates. As prizes were handed out, Daisee Aguilera offered “initiatives like this put Formentera youth in the position to see just what it takes to get water to their taps—all the parts of the water cycle—so that we're truly grasping the importance of this resource around the world, and at the same time learning how to be more responsible in how we consume it”. Del Mar Yern, for her part, applauded the children's participation and praised the cooperation of the Council, schools and teachers. The Formentera Council's education office announces that at 5.00pm this Monday, November 26, the Sant Ferran library will host Millie Potter, the island's first-ever English-language storytelling session. 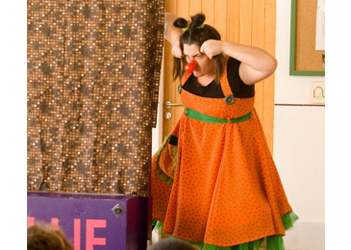 Elàstic Nou, the theatre company behind the educational initiative, say the premise of Millie Porter —combining homemade storytelling with an actress from an English background— is all about getting kids interested in the language. The show's wild dynamism creates a setting in which participants are in near constant interactive engagement. Through words, songs and games, Millie takes children on a journey they aren't likely to forget.